"Is it tea? Is it coffee? No, it’s Superlatte! These premium ‘functional super blends’ include variants like Turmeric Latte, Beetroot Latte and Matcha Latte. They’re made in small batches, with lots of added love, in Cape Town South Africa. Unsurprisingly, they’re also vegan-friendly and dairy-free. 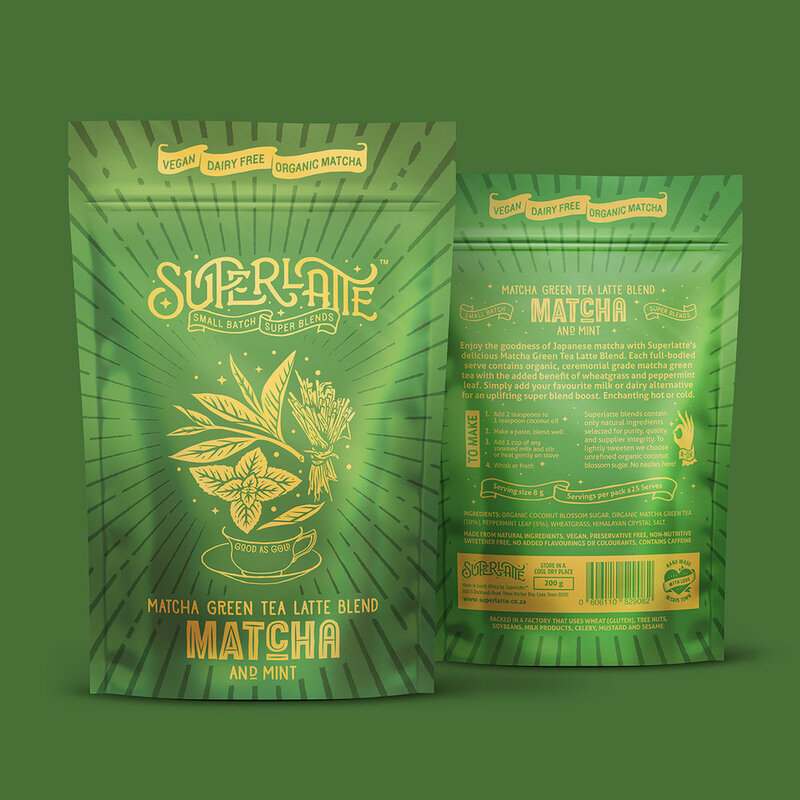 Superlatte’s heroic qualities – their all natural ingredients – are boldly displayed front and center on the packaging. This makes finding your favourite on shelf super-easy."